This entry was posted in News & current events, Travel and tagged Baja California, mexico, passport requirements in mexico, passports, Tijuana, travel alerts, United States. Bookmark the permalink. It’s becoming really a hassle to go over the boarder nowadays. Just too much traffic and time wasted especially over the weekend. Great advice on passport and travel advisers will get benefit to know traveling in Mexico. 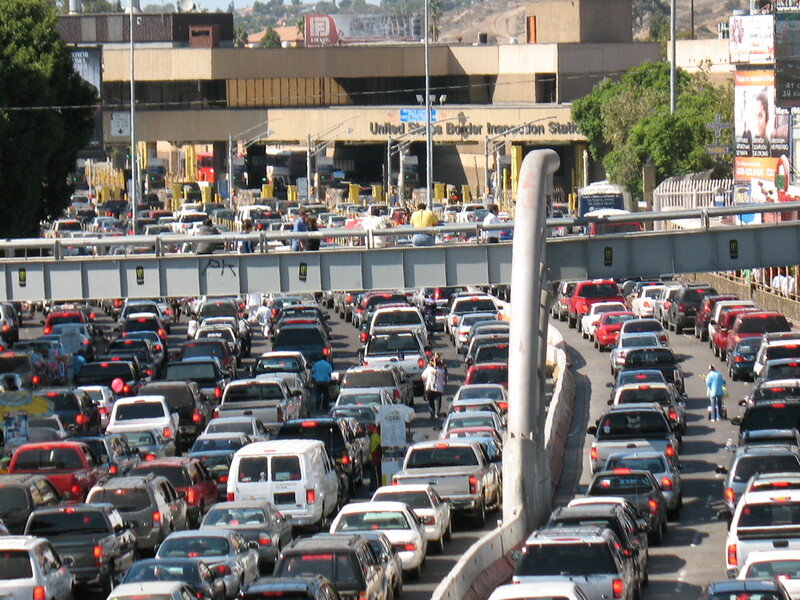 Though this is the worlds’ busiest border and with traffic that drives one insane I still believe that it is an error as to say one can go through this land border without a passport as you may never now exactly if the person is on a wanted list or not. hi i want to travel by cruise to rivera mexicana , i am a legal resident and i born in mexico what papers i need? i have my green card. thanck you. My son and I just did the park and walk to Tijuana on Oct 7, 2012. It’s a short (about a mile) walk into Mexico and goes like a walk in the park. It’s so easy that you’ve walked into Mexico with no delays or any kind of realiization that you’ve just switched countrys. Our only purpose was to walk in to scratch it off the bucket list and come back. This was happening at 11AM on a Sunday. We immediately noticed a blocks long line heading back for the USA. After reading other blogs, we decided to take a taxi back to customs to avoid the roughly 2 hour wait in line on the street. It turned out to be a bad choice. Taxi ride went fine until about 500 feet prior to the side door of the US Customs Building when we came to a stop and lengthy wait in a 15 passenger van. We made it up the the customs door 2 hours later. We had to stay with the van because there were numerous signs that along the edge of the street that said no walking. Anything that says that the best way to visit Mexico is by walking hasn’t been there recently. It’s going to take you 2 or more hours either by car, walking or taxi. The customs coming back to the US is described in many blogs as a Nazi like experience. I totally agree with that statement and will add that it is completely disfunctional. You go through the line and get to a unfriendly customs agent who scans your passport and hands it back. No words spoken, no metal detectors and no scanning equipment. The delay is for no apparent reason. US Customs needs to work on their attitude and the function as to why they are even there. Customs is a joke.